University Libraries is sponsoring a professional development learning opportunity for faculty and instructors this fall. Participants will become part of a focused community of practice that will learn how to find and use library-owned and licensed materials as required readings in lieu of costly textbooks. Through a new partnership, University Libraries and Open Book Publishers is changing the nature of the traditional academic book at BGSU. Open Book Publishers books are published in hardback, paperback, pdf and ebook editions, but they also include a free online edition that can be read via our website, downloaded, reused or embedded anywhere. BGSU students and faculty are now able freely download all of Open Book Publishers ebooks and receive discounts on all printed editions. (L to R) Ray & Pat Browne Library for Popular Culture Studies Head Librarian Nancy Down, Gellis Award recipient Kathleen Kollman, and Dean of University Libraries Sara Bushong. 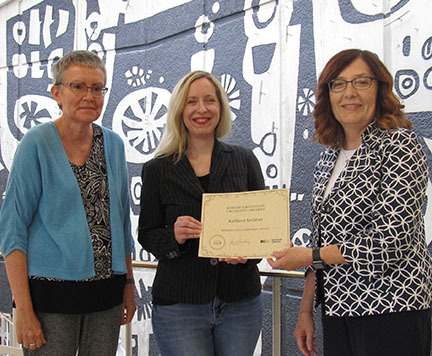 On Tuesday July 10, Bowling Green State University Libraries announced that Kathleen Kollman, a Ph.D. student in American Culture Studies, has been named as the inaugural recipient of The Roberta Gellis Memorial Paper Award. Kollman’s paper, titled “Contemporary Paranormal Romance: Theories and Development of the Genre’s Feminism (Or Lack Thereof)” was written for a seminar on romance novels taught in the Spring 2018 semester by Dr. Kristin Rudisill in the Department of Popular Culture, and was also presented at the Researching the Romance conference sponsored by the Library in April 2018. The Roberta Gellis Memorial Award honors the best graduate and undergraduate papers written using the resources of the Ray & Pat Browne Library for Popular Culture Studies and pertaining to the fields of science fiction, fantasy, mystery, or romance fiction. The award will be given on an annual basis. Roberta Gellis (1927-2016) was a prolific author who published nearly 50 novels after the first was published in 1964. Best known for writing historical romances with medieval settings, Gellis gained notoriety with the 1979 series The Roselynde Chronicles. Gellis wrote across many genres including romantic suspense (both historical and contemporary), romantic fantasy, and science fiction. Regardless of genre, research was the hallmark of Gellis’ work, and she gave many classes for other fiction writers on the topic. In 1951, Gellis earned an MS in Chemistry from Brooklyn Polytechnic University, and later earned a second Masters in Medieval Literature. The Ray & Pat Browne Library for Popular Culture Studies holds a large collection of Roberta Gellis’ manuscripts, which she began donating in 1999. The Gellis family has continued donating materials since Roberta’s death in 2016, and established the paper award to encourage study in the Library’s extensive and unique collections related to genre fiction. The Library is extremely grateful for the Gellis family’s generosity and support. In March, OhioLINK announced that more than 50,000 new materials from the Ohio Digital Network are now discoverable in Digital Public Library of America (DPLA). Led by the State Library of Ohio and in partnership with OhioLINK, the Ohio Public Library Information Network (OPLIN), and the Ohio History Connection, the Ohio Digital Network builds on strong digital collection efforts across the state, including extensive digital collections at OhioLINK member institutions, Ohio Memory, and the Ohio Digitization Hubs project. As part of this project, University Libraries highlighted a portion of sheet music. For the third year, the Popular Culture Association and the American Culture Association, along with the BGSU Department of Popular Culture, the Ray and Pat Browne Library for Popular Culture Studies and the Music Library and Bill Schurk Sound Archives, sponsored a summer research institute at Bowling Green State University, June 3-8. This institute is generously supported by the School of Cultural and Critical Studies, the Department of Popular Culture and the University Libraries, at Bowling Green State University, as well as by the PCA/ACA Endowment. 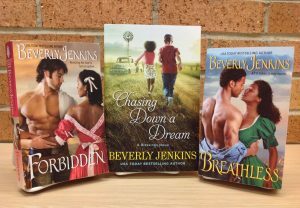 In 1997, the Browne Popular Culture Library at Bowling Green State University held one of the first academically oriented conferences on the genre of popular romance fiction. Titled “Re-Reading the Romance,” the event included authors and academics from around the country sharing their experiences and love for the genre. A follow-up conference, “Romance in the new Millennium,” was held in 2000, featuring even more thoughtful looks at romance. The conference was hosted in the Jerome Library and the Wood County District Public Library. Guest of honor was 2017 RWA Nora Roberts Lifetime Achievement Award recipient Beverly Jenkins. Jenkins has published more than 30 novels, and is well known for the level of detailed research she puts into her books, making her the perfect guest for this conference. She delivered the closing keynote address on Saturday as well as signing books. Also attending were Dr. Kate Brown, assistant professor of political science at Huntington University in Huntington, Indiana and Dr. Eric Selinger, professor of English at DePaul University and executive editor of the Journal for Popular Romance Studies. 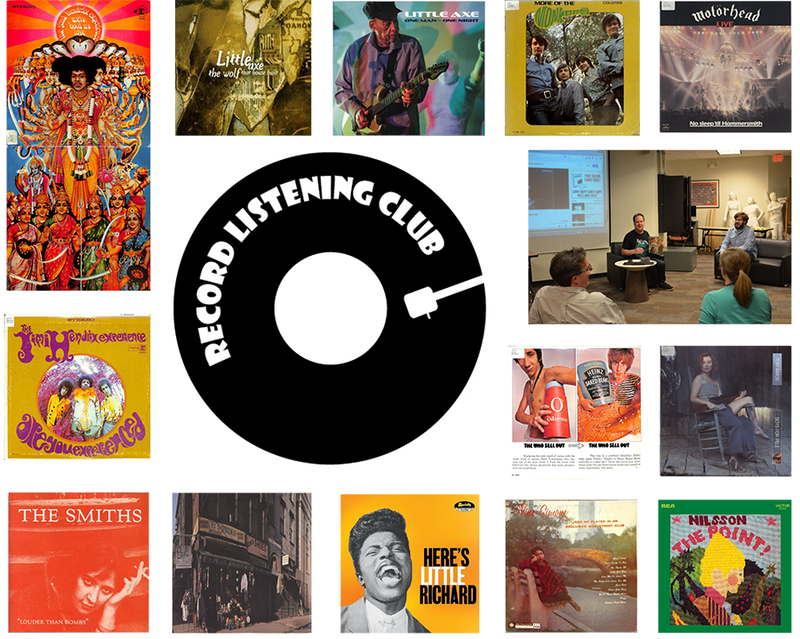 The Record Listening Club takes the idea of a book club and puts a whole new spin on it. 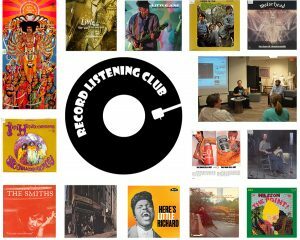 It began in the fall of 2015 by inviting faculty, staff, students or community members to select an album that has some personal significance to them and lead a group discussion in the style of a book club. The only requirement is that the album must be part of the Music Library and Bill Schurk Sound Archives collection, and with hundreds of thousands of options to choose from, that hasn’t been an issue!